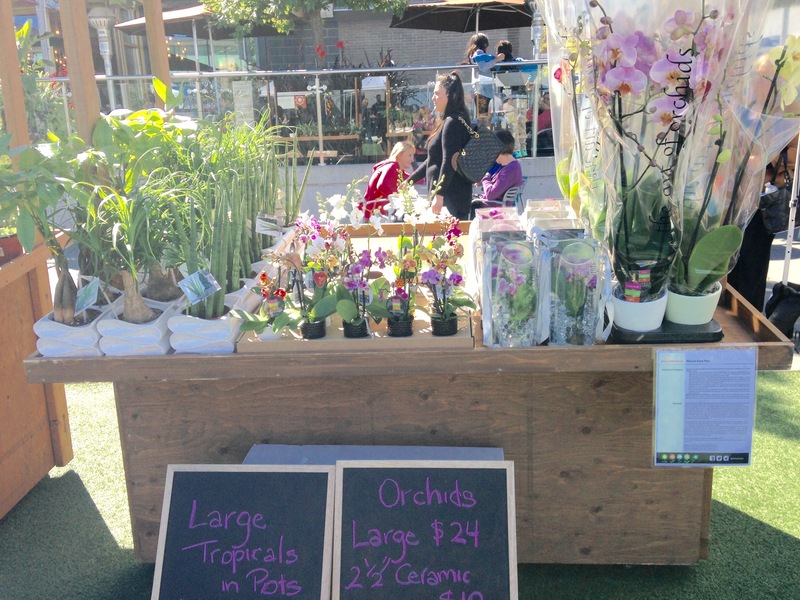 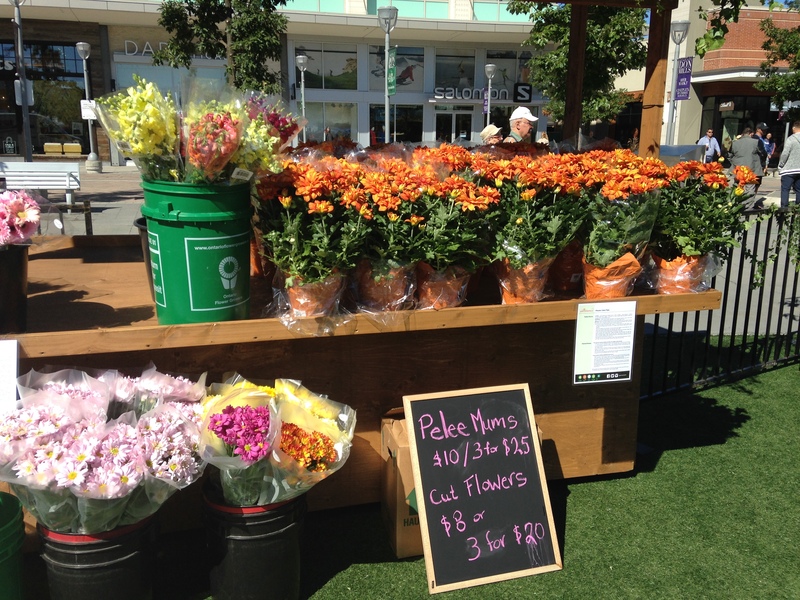 What could be more pleasant on a sunny fall afternoon than strolling through the North Toronto Floral Market on the lawn of the Town Square at the CF Shops at Don Mills? 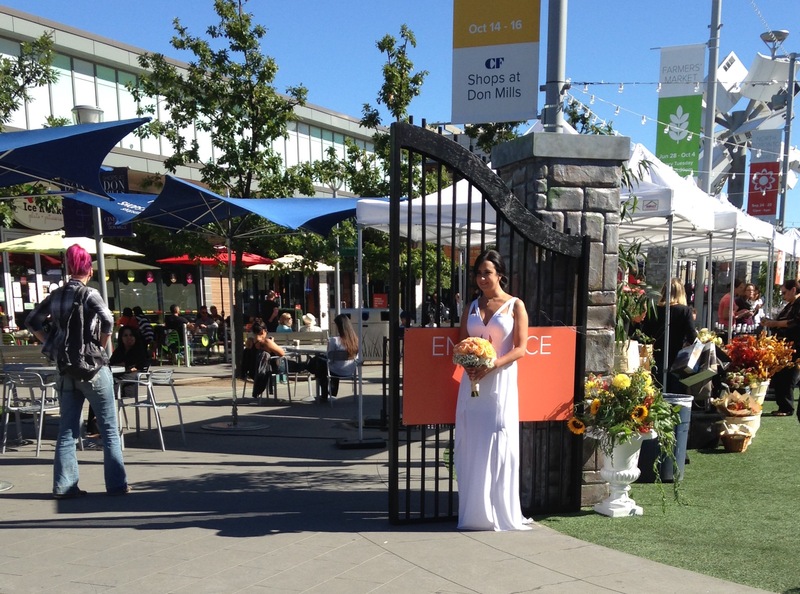 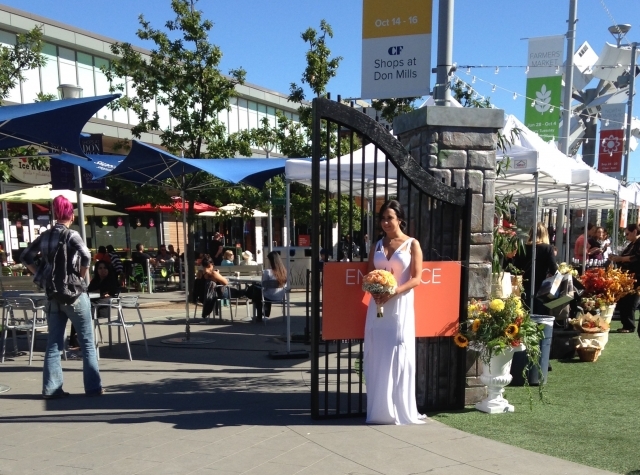 The TBG participated with a trendy booth and sponsored flower demonstrations. 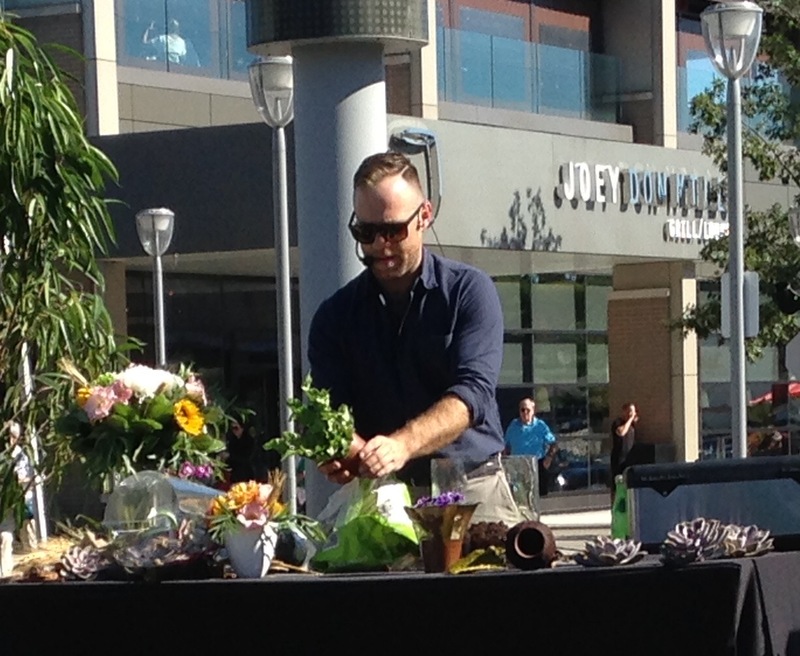 From bouquet arranging to terrarium making, Opening Night Florist Nicholas Smith entertained shoppers with various presentations. 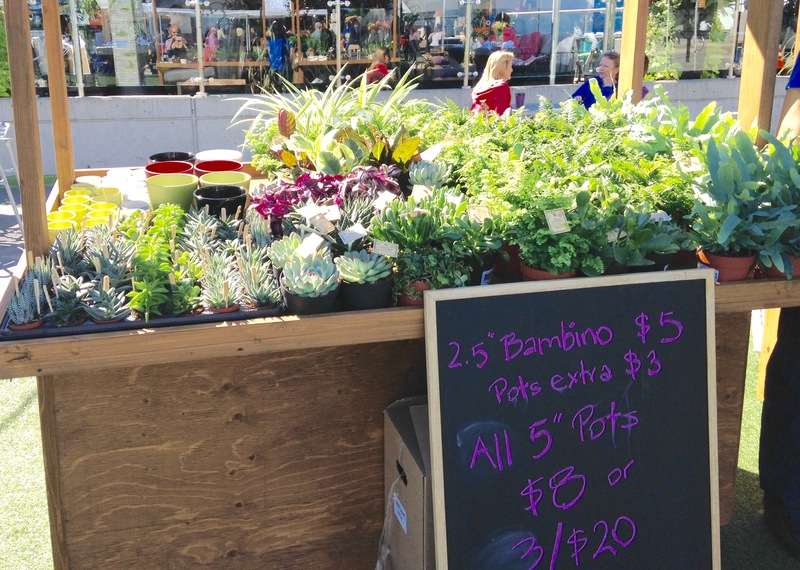 Saturday afternoon TBG volunteers Fredericka Winchell-Jubb and Allison Murray were busy selling items from the TBG shop and telling customers about classes and programs at the TBG. 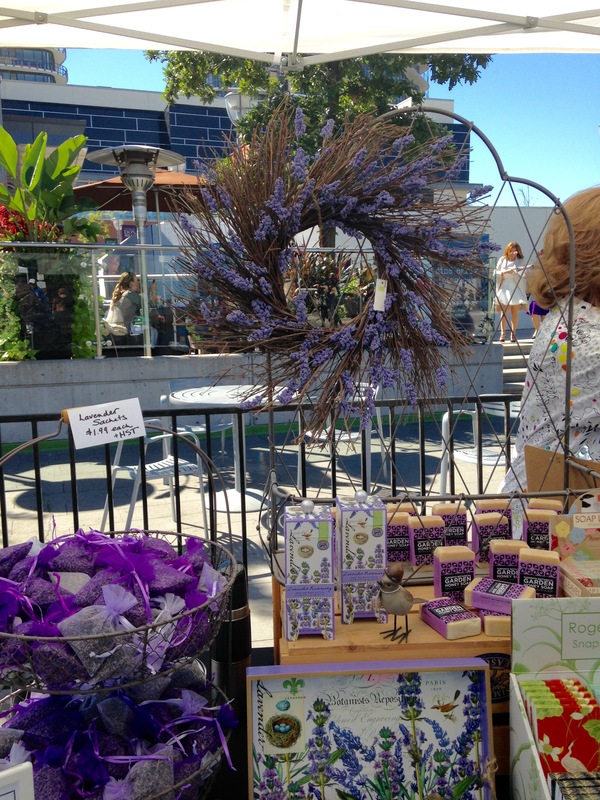 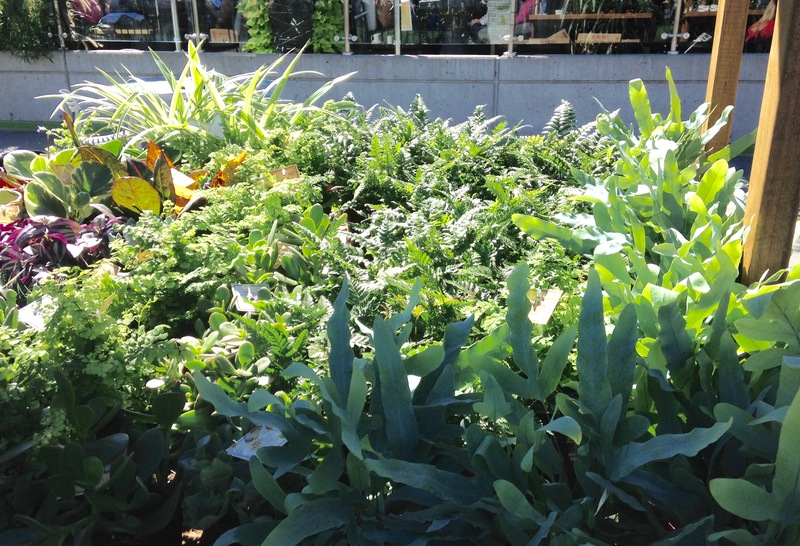 Other outdoor booths offered everything from sunflowers to succulents, ferns to freesia. 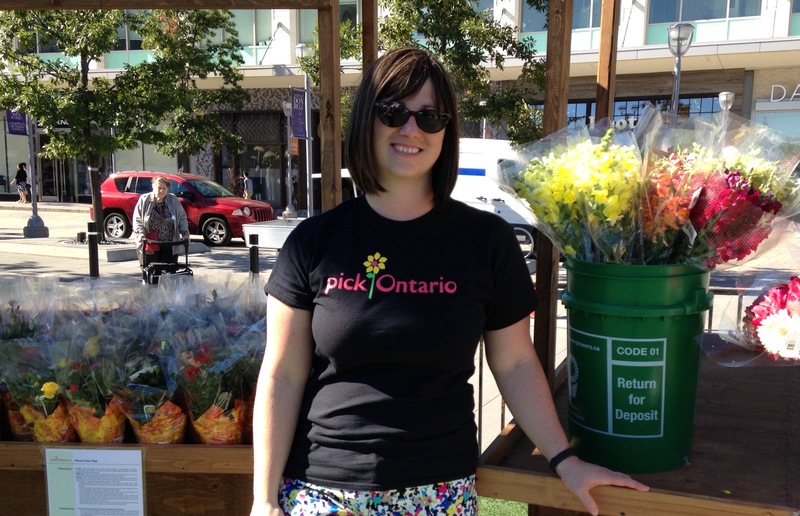 Jess Gough at the Pick Ontario Booth was delighted with the turnout. 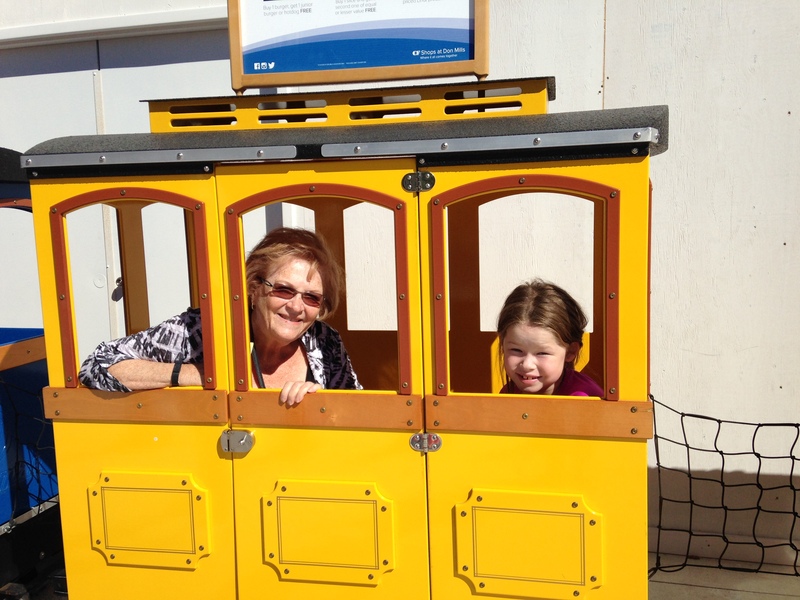 I even managed to take my granddaughter Lila on a ride around the outdoor premises on a colourful miniature train. 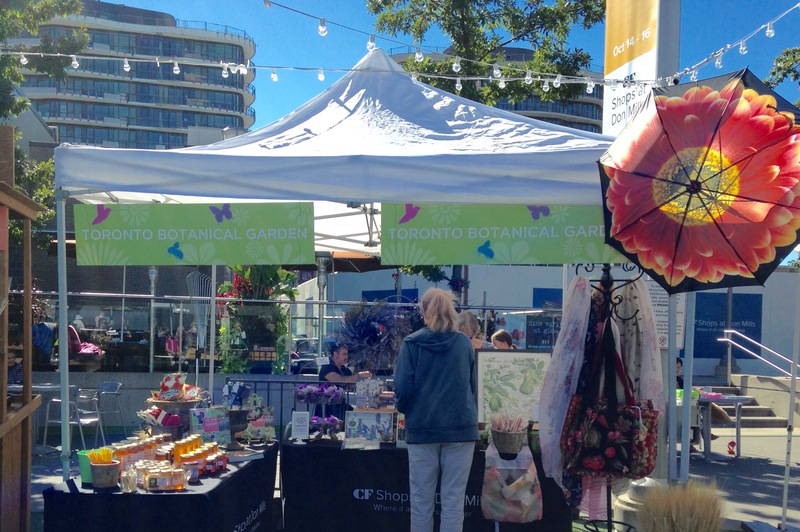 The fun continues Sunday, Sept. 24 and the TBG, in partnership with the North Toronto Floral Market, is due to make another appearance at the CF Shops at Don Mills Harvest Festival, from Friday, Oct. 14 to Sunday, Oct. 16.